The Marketing Canvas is evolving. We have changed 2 main dimensions as it reflects more the Marketing reality. Why you do business is more important than how you do business. 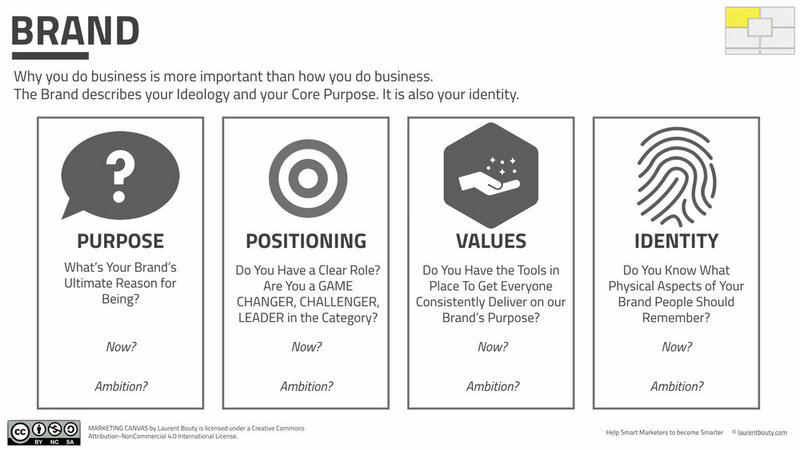 The Brand describes your Ideology and your Core Purpose. It is also your identity. In the Marketing Canvas, we have the REVENUES dimension. Usually, I recommend to start from there because it is the global constraint of the Marketing Strategy exercise. This is what you will have to deliver!